We at Krishjay Solar along with Zolt Energy Systems take great pride in our efforts towards making solar adoption as easy as getting a broadband internet connection for a warehouse at Bhiwandi Maharashtra. 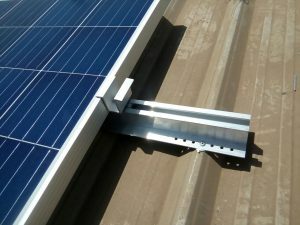 With our first few customers inquires thru references and frequent meetings and submitting data and site inspections and solving major FAQ’s for about a month, we figured and mapped the end-to-end process it would take to install a ON GRID SOLAR PV PLANT competing with leading brands who wee not able to solve the queries of the customer. Our ‘Easiest Way Solar’ covers 5 basic steps and covers the entire cycle from education to customisation to approvals and finally, to solar adoption. Let’s see how we installed a 160 KW plant with Zolt energy team and saved energy bills upto Rs.1.75 lakhs per month. 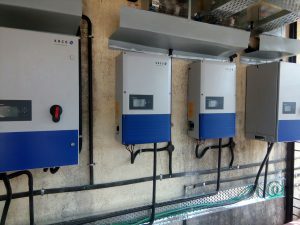 (Power Distribution Company approval for Net meter expected in few days) and who is now a proud owner of Zolt’s 160 KW Solar Power System. We reached out to the owners and decision makers with a personalised Solar Information Kit covering basic details about solar power, Torrents net-metering policy and Zolt’s products. He called, we talked and having answered all his questions to his satisfaction, we scheduled a solar consultation to help him decide the right product for his Warehouse and expect another 4-5 locations from them in near future. Step 2 : Identifying Requirements (including constraints) and Proposing the Right Product. Mr Agarwal’s only constraint was to adopt solar power in a way that would safe ,water proof and save huge energy bills. We suggested a roof structure that would not hinder their roof utilisation in any way and water proofing bolting to avoid water leakages. We submitted the layouts, he accepted and we filed for the necessary regulatory approvals which are expected in a day or two but the plant is installed and generation is on. The approval cycle has 2 key parts. 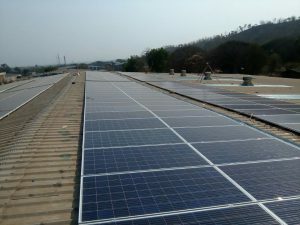 One (feasibility) where the DISCOM checks viability of solar in your neighbourhood as only 40% of capacity will be put on solar on first-come-first-serve basis and Two (registration) where they check the detailed technical specifications of the system being installed to ensure all equipment has necessary certifications. We submitted the feasibility forms on behalf of Mr Agarwal and the after getting feasibility approval, completed the registration formalities and started getting ready for the big day! Custom installations need meticulous preparation for a flawless execution. We worked closely with team Zolt who sent team from Delhi and from creating easy-to-clean access points to deciding on a access via staircase to avoid theft. 160 kW plant was commissioned on March 30, 2017. All Zolt systems come with 24/7 monitoring and this has multiple benefits. We get the opportunity to do pre emptive maintenance to minimise customer inconvenience. And we get to share this data with solar enthusiasts like you who can then make a better informed decision! The solar system has generated better than our expectation. There will be sunny days, there will be monsoons and on average we are confident of generating 18500-19000 units a month on a average. © 2018 All rights reserved. By Krishjay Energy Private Limited.